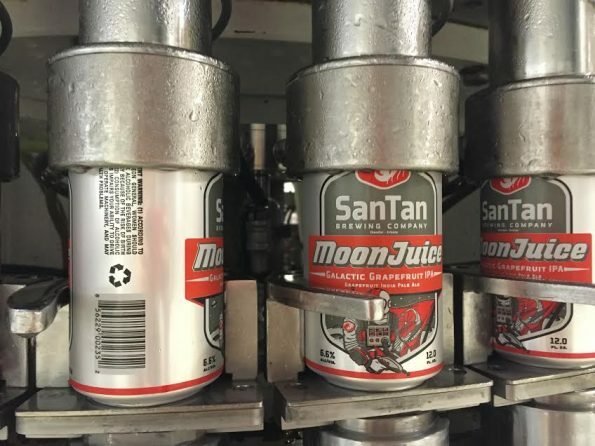 Made with Arizona Grown Grapefruit Juice, SanTan Brewing Company is gearing up to launch a brand new beer, MoonJuice Galactic Grapefruit IPA. 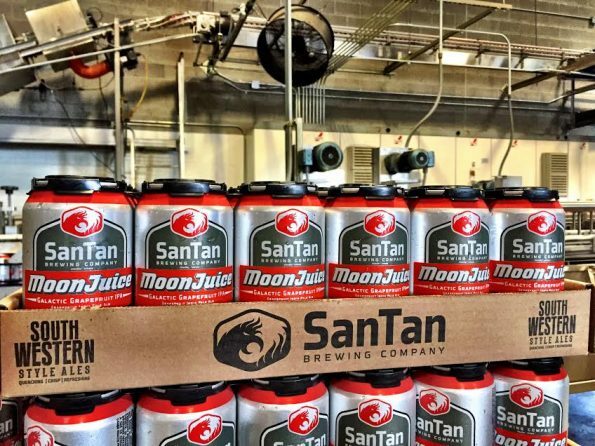 A spin-off of SanTan’s wildly popular MoonJuice IPA, which launched into mass production in October 2015. The new fruity version is described as an out-of-this-world IPA crafted with tons of Galaxy and Nelson-Sauvin hops from the southern hemisphere. With an added splash of Arizona grown grapefruit juice, courtesy of Sun Orchard in Tempe. This hopped up Grapefruit IPA is a delicious thirst quenching ale. Last year we launched a wide release of our highly acclaimed MoonJuice Galactic IPA with much success. Now, we’re launching a grapefruit version of the same deliciously crisp and refreshing IPA, perfect for enjoying in our dry Arizona climate,” said Anthony Canecchia, founder and brewmaster, SanTan Brewing Company. *MoonJuice Galactic IPA debuted in the Nielsen database at #2 for Arizona-owned IPA 6-packs sold throughout Arizona. Second only to SanTan’s HopShock IPA. IPA’s make up about 23% of the Arizona craft beer market with over $6 million in sales during Q2 2016. To discover SanTan Brewing’s award-winning craft beers near you, visit www.SanTanBeerFinder.com.